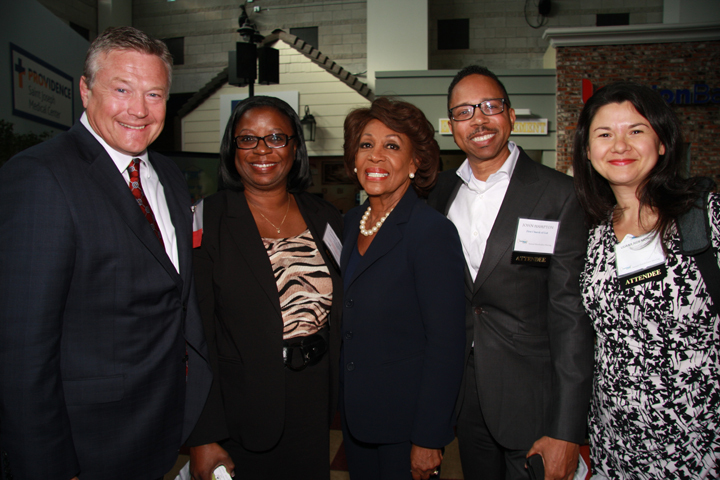 Waters recently spoke at the Annual Shareholders meeting of Clearinghouse CDFI, a local, mission-based community development lender. Her remarks focused on the importance of CDFIs and minority-owned depository institutions, as well as her work to strengthen them in the aftermath of the economic crisis. She also discussed a number of important federal initiatives in which she has taken a leadership role. These include efforts that evaluate bank performance in meeting the needs of all borrowers, consumer financial protection measures, and the establishment of the Offices of Women and Minority Inclusion (OMWI), which monitor the number of federal contracts going to women and minority-owned businesses.